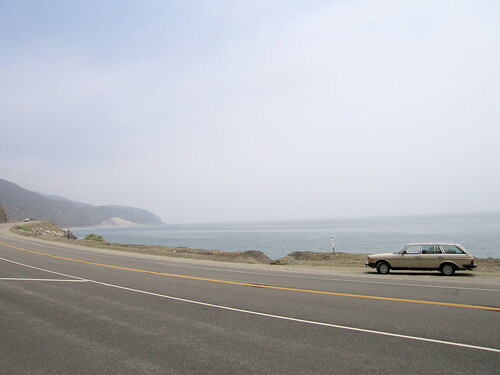 Near Point Mugu, originally uploaded by Nigel Stewart. Yesterday I woke up early and got on the bus to Union Station where I caught the Coast Starlight train up to Oxnard to pick up the Benz. It was a wonderful trip up through the Santa Susana pass and I was driving home on the Pacific Coast Highway by early afternoon. I snapped some pics throughout the day which I've posted on Flickr. I've also haphazzardly added some other pics I've been meaning to publish since the early Spring. This page contains a single entry by Nigel published on May 16, 2007 11:56 AM. Holy Crap I Just Bought a Benz on eBay was the previous entry in this blog. After the Fire is the next entry in this blog.